Since the release of The Last Mortal Bond, which I am currently immersing my self into, I was always wondering what's next from this guy! I am not ready to close the curtain for Chronicle of the Unhewn Throne series. How come he has no other series or no new book coming out? Until of course news came out that another book from Brian Staveley is coming our way next year. The new book, titled Skullsworn, is a standalone, but will definitely pit us still in the world of The Emperor’s Blades, or in Annur and its neighboring countries. And as you may guess it has to do with the priests of Ananshael, the God of Death. 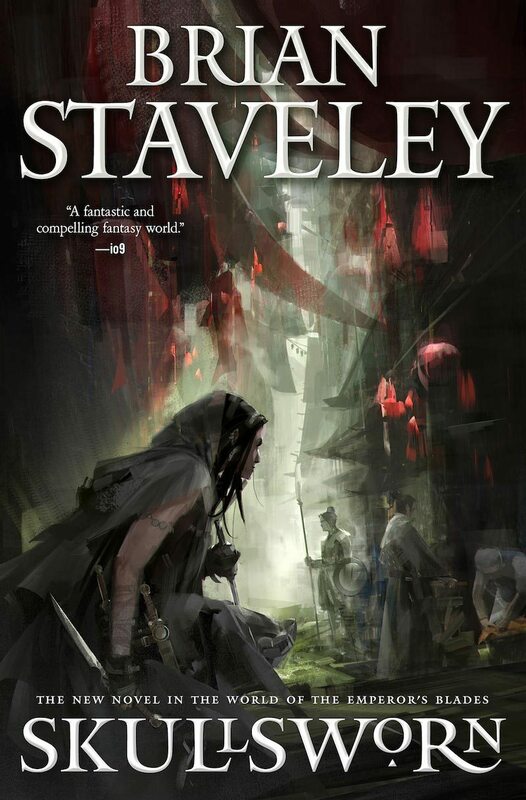 Check out the cover of Skullsworn by Brian Staveley. Skullsworn by Brian Staveley will hit book stores on April 25, 2017.